For the longest time, I’ve had this constant debate with an old friend as to which beach has the finest sand in the Philippines. She would bet her credit card that Boracay’s White Beach holds the title, while I counter that Bohol’s Panglao Island, particularly in Bolod, has it in the bag. The argument has gone for years, usually ending with spent beer bottles and no precise resolution right after. A few months ago, I found that we were both not quite right in our assumptions. 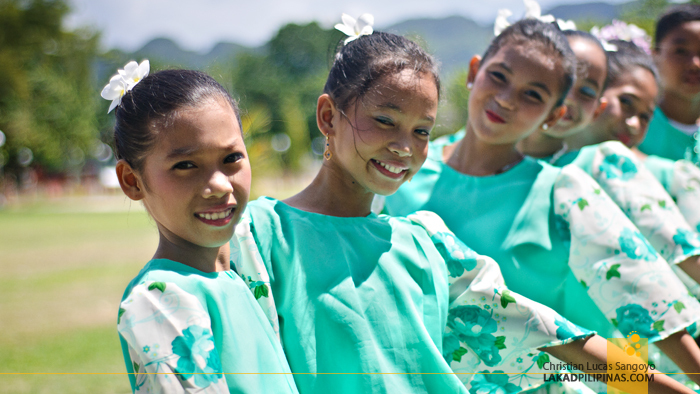 Kids dressed in green Filipiniana garb warmly welcomed us with smiles and dances as we alighted from our bus. 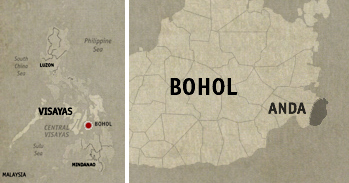 We’ve just spent the night at the Bohol Beach Club and after two hours of navigating the winding roads of Bohol, we were finally at one of the south-easternmost town of the province, Anda. Literally translated, the name of the town means It walks. And how it got its name is still up for debate. Oral history dictates that the old name of Anda, which is Quinale, means a land that moves forward or a land, particularly of sand dunes, made by the waves from the sea. And I can definitely see how that may be. While I really didn’t see any particular beach dunes, the town of Anda clearly trumps it when it comes to beaches. Our group was herded to a shaded portion of the town hall. On its front was a wide expanse of green lawn, across it an old church where a two-storey colonial-style school sits beside in. While this set up isn’t really particularly unique, especially on old towns in the country, what’s astonishing about it is that right beside all of this is the beach. And not just any beach; Quinale Beach is a fine white sand spectacle that’s free for all the townsfolk to frolic in. 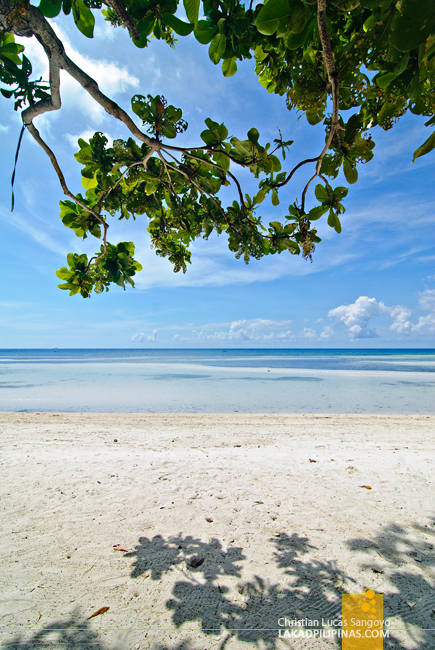 Imagine having your lunch break under the shade of a huge mantalisay tree, watching the rise and fall of gentle waves, or coming out of school and running straight to its warm waters. It’s hard to describe how envious I was of the people of Anda. The main public beach stretches to about two kilometers, with another two kilometers more bending westwards towards the more private parts of town. A statue of a World War II soldier storming the beach stands guard near the municipal hall, a reminder of the American landing in the area during the war. During the late afternoons, Anda locals often frequent this place, towing lunch boxes and picnic blankets with them. I assume this is as normal to them as it is for metro people to visit the malls in the city. The beach is relatively clean, aside from the few sea grasses that are dragged by the waves to the shore. And I was even pleasantly surprised to find a spotlessly clean public comfort room and shower stalls near the Quinale Beach Bar for bathers. What’s more, there’s absolutely no fee in using them. 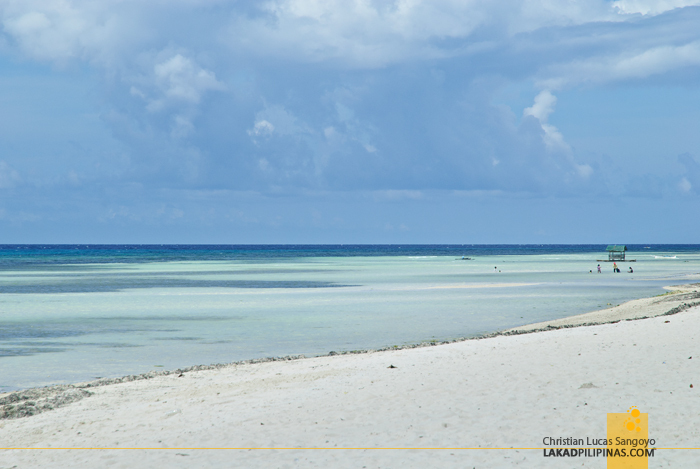 But everything aside, what really sets Anda’s Quinale Beach apart from all the other beaches in the Philippines, is its sand. It’s not creamy, it is almost perfectly white. It’s not fine, it is extra fine. 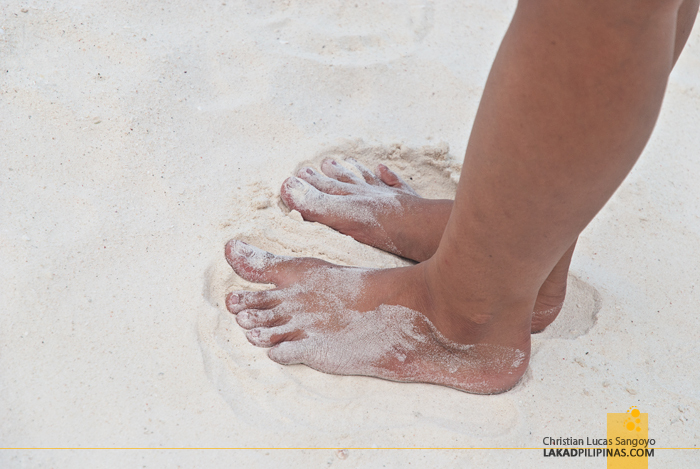 I am not exaggerating; the sand in this public beach is polvoron-like in its quality. To back that up, even a member of the United Nations World Tourism Organization who has visited the beach last April has declared it to be the finest he has ever seen. 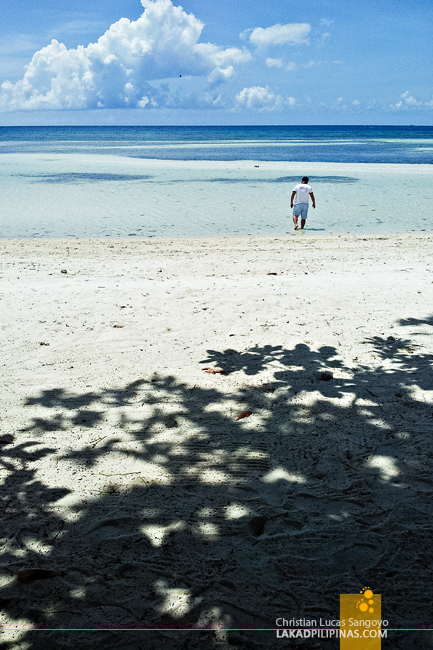 By fineness and whiteness, it wins by a large margin with the beaches of Panglao Island. It prevails by a hair with those at Boracay White Beach. 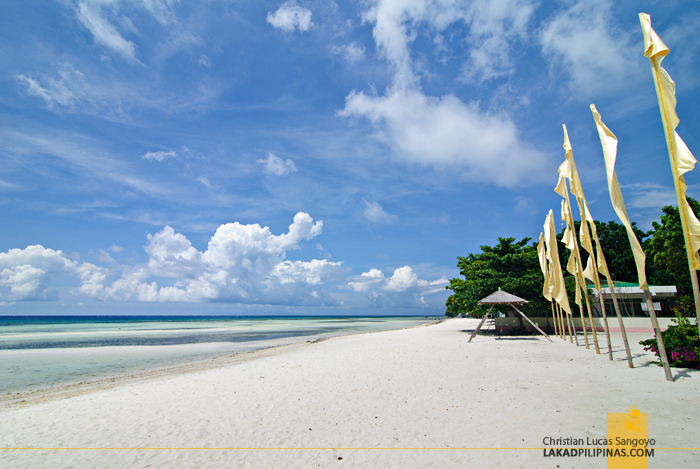 Its granules are similar in fineness to El Nido’s Entalula Beach but is the clear victor when it comes to color. With or without beer bottles, I guess the debate for the finest white sand in the Philippines ends at Anda’s Quinale Beach. I assume you've been to all other beaches in the Philippines, including those in Sulu, Tawi-Tawi and all of Palawan including Cuyo and Cagayancillo. Otherwise, this post isn't reliable at all. Thank you so much for appreciating the beauty of my hometown, Anda. 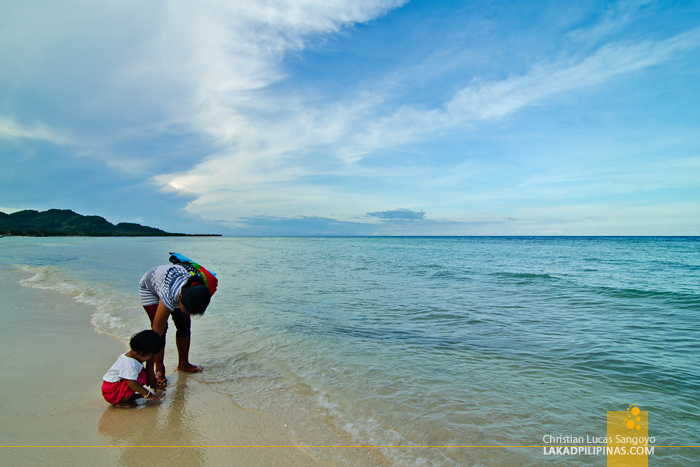 You guys should come over here and must try our beaches. 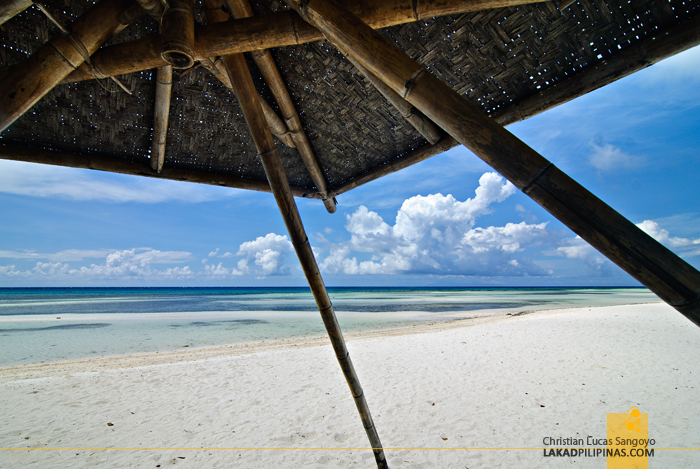 You will know then the big difference of our Anda beaches to Boracay and others... I must say, I AM VERY PROUD TO BE CALLED ANDAHANON. klangan po ba ng reservation?